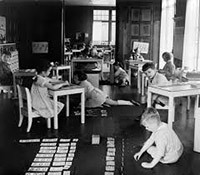 The Montessori environment is carefully designed to suit the stages of development, drawing inspiration from nature, while maintaining a sense of beauty, structure and order. The direct result is a space that encourages a naturally eager spirit. 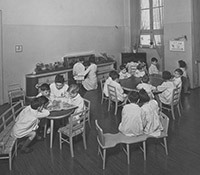 After learning about Dr. Maria Montessori and her teaching method, parents may feel that The Montessori Method is the approach they wish to take in educating their children. We encourage families to do the research and to tour our school. 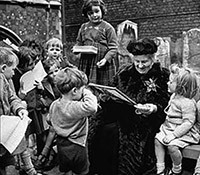 Dr. Maria Montessori: A fascinating and inspiring woman in her own time, with a legacy that continues to provide inspiration more than a century following her original methods. Many famous and progressive-thinking individuals endorsed her methods. 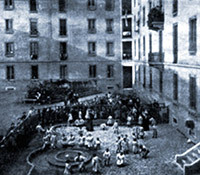 Science has finally caught up to the evidence-based Montessori Method, proving the effectiveness of what fellow Montessorians such as the founders of Google, Amazon.com, and Wikipedia have already learned first-hand.